Since the decline of marriage in western culture, serial monogamy, adherence to a life long series of disposable relationships, has taken hold as the main interpersonal relationship model. It is very effective at keeping modern individuals isolated and trapped in narcissistic psycho-pathologies relating to public identity and personal freedom. Particularly in the anonymity of our information age, this free fall of personal-relational value is crippling to social development. 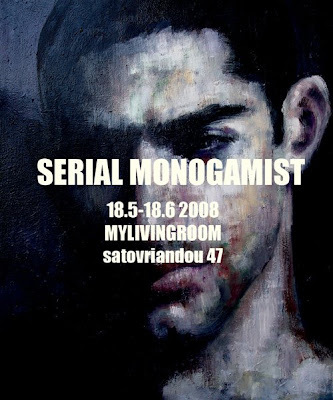 This exhibition presents works about the practice of serial monogamy its effect on social norms, dating, marriage, and identity in contemporary athenian culture.